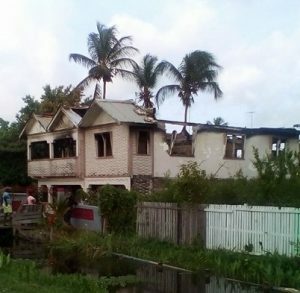 The house at Side Line Dam, Golden Grove, East Coast Demerara where Shaun Prince died in a fire. Fire early Thursday morning destroyed a house at Golden Grove, East Coast Demerara and killed one person, East Coast Demerara Divisional Police Commander, Calvin Brutus said. 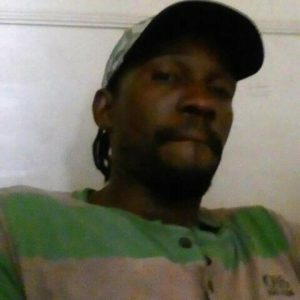 Residents identified the dead man as Sean Prince. He was taking care of the house on behalf of his father who has been living in the United States for the past five years. Authorities received a report of the fire at about 1:50 AM at 67 Side Line Dam, Golden Grove. Residents in the area said they last saw him at about 1 AM on the railway line where he was hanging out with friends. “When I came out here, the whole house was engulfed,” a resident remarked at the scene. Eyewitnesses said a cousin, who was seen allegedly removing items from the building, cannot be located. Residents tried to extinguish the blaze with a bucket brigade, but the fire was mostly upstairs and the heat was too much. They said eventually all they could do was stand back and look as the fire gutted the two-flat concrete house. Fire fighters arrived about 30 minutes later and extinguished the fire.